Don't get me wrong. I liked the whole zombie apocalypse thing. The resurgence of zombies into popular culture did wonders for our games, television, and movies and my little pro-apocalyptic heart was extremely happy to see them rising out of their graves into popularity once more. Back in 2008. Five years ago. But isn't it starting to feel contrived at this point? Now we see zombies everywhere. Zombie family stickers on the back of minivans, zombie lawn ornaments, even an instructional book on how to speak "zombie". And at first we were excited about the prospect of outfitting our lives with the walking undead. But now we're so desensitized to that initial magnetism of the zombie apocalypse that instead we lazily drink our coffee out of zombie-themed mugs and passively search the internet for something undead that might excite us again. When did all of this zombie propaganda become necessary? At this point, can't we just call it quits? It's not like we're not prepared by now. We've all seen enough episodes of The Walking Dead to know how we'd plan and survive during the zombie apocalypse. 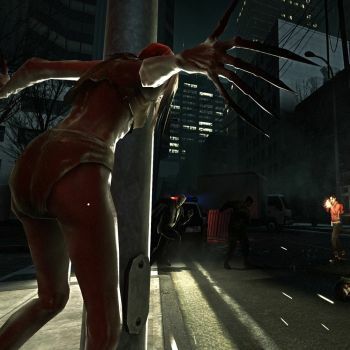 We've all played enough Left 4 Dead to know how to destroy different species, if you will, of zombies. We're ready for it now, and I think it's time we put this zombie fascination to rest. Even removing zombies from the equation, aren't we all a little tired of the apocalypse in general? I, too, fell prey to marathoning episodes of Doomsday Preppers in hopes that some of that vigilance might rub off on me. I've seen an episode or two of Doomsday Castle, which is essentially just Doomsday Preppers meets your last family reunion. I've even seen every episode of The Colony, all so that I might pick up extra pointers on how to prepare myself for the end of days, but enough is enough. There are so many other valid topics out there for us to latch onto. Why not expand our horizons a little? I'm not saying we can't enjoy the apocalypse ever again but the real point of all apocalypse stories is the actual human interaction, the turns that society takes in the wake of a destruction of that magnitude. It's why I will continue to watch The Walking Dead, to follow the lives of the humans left behind, or why I'm interested at all in playing any new zombie-themed games (excluding Plants vs. Zombies because that's all about the sunflowers). But isn't there some other topic with an underlying societal tension that would be just as interesting as this? What about witches? The '90's had some fantastic witches, between The Craft, Charmed, and Sabrina. Even now they're starting to come around again thanks to American Horror Story: Coven. And they were persecuted. We could get some intrigue out of sheer historical facts that come along with witches as subject matter. Or hell, even just a good, old fashioned ghost story would be refreshing at this point. Wouldn't we all like to see the next Are You Afraid of the Dark? And don't forget about aliens. Although X Files is a classic example, Pacific Rim and Falling Skies each brought us a taste of what the new look and feel of aliens could be like in media today. See? We're already trying for something new. We're ready for the change and we need to embrace it. It's time to give some spotlight to something else, zombie apocalypse, because you're hogging it all and that's just rude. But seriously, if you're not ready to give up on the zombie apocalypse yet, check out our The Walking Dead personality quiz while you watch Lisa Foiles' Top 5 underrated zombie games and read about the best historical settings for your zombie game. Please note: A previous version of this article contained spoilers for Under the Dome. These have now been removed.